A lot of you participate in Gizmodo's weekly Happy Hour, but most of you (intelligently!) aren't taking photos of it. But for this week's Shooting Challenge, let's celebrate the beauty of booze. Photograph a cocktail (and get us the recipe!). Take a photo of a cocktail and tell us how to make it. It can be in your home or out at a bar. The catch? If a bartender makes it for you, they'd better share the recipe, too! Cocktails are naturally wonderful subjects for a photo, because a good cocktail mixes geometry, color, and texture. Plus the glass allows light to flow into the liquid naturally. But there is a great Q&A that can teach you more. Read this. It's full of practical tips, like, rather than lighting a cocktail, a bounce board (which can be as simple as a white sheet of paper to redirect light at your subject) can work wonders, or that freezing glasses for 10 minutes produces attractive condensation. And for those of you drinking in a dark bar, this tutorial is great, too. 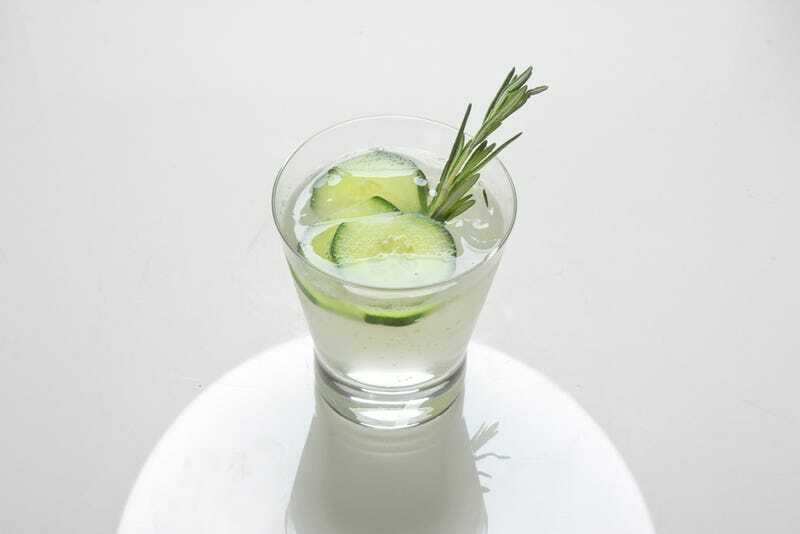 Our lead image is a cucumber rosemary gin and tonic from Dinner Series. It's just the right mix of arty and delicious-looking. Send your best photo by Monday, February 3rd at 9AM Eastern to contests@gizmodo.com with "Cocktail" in the subject line. Save your files as JPGs, and use a FirstnameLastnameCocktail.jpg (970px wide) and FirstnameLastnameCocktailWallpaper.jpg (2560px wide) naming conventions. Include a recipe along with a story of your tradition in a few sentences.